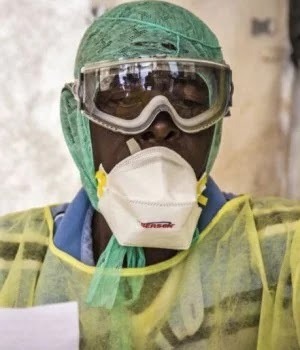 The GAVI global vaccine alliance said on Friday some 300,000 emergency doses of an Ebola vaccine developed by Merck could be available in case of a large-scale outbreak of the disease, after the World Health Organisation (WHO) confirmed a fatal case in Congo. Koko Ombu is Chief Strategist of Ideas Portfolio Management Firm, Infinite Impact Limited, leading content and concept development, ensuring the most unique information is researched and designed into state-of-the-art, commercially viable packages that optimally positions the ideas and brands of clients for industry impact. She has proven experience in idea delivery designing some of the most ingenious idea-concepts that serve consumers and companies in financial, information technology, educational, health, consulting, business and entertainment sectors, helping them boost outlook, product sales and overall company output. Taking cognisance of myriad African challenges with a focus on unemployment, she has worked with over 100 SMEs to deliver cost effective, cutting edge ideas, strategies and enterprise solutions that aid the growth and nurturing of their businesses, fostering competitive advantages that achieve economic and social growth. In a country where poor credit ratings have seen young people struggle to start enterprises, she has secured funds of over $USD 500,000 for budding entrepreneurs. As a strategist, Koko Ombu ensures that all incubated businesses gain adequate knowledge base to overcome the most tedious stages of business development while positioning them to stay ahead of the competition through the most innovative plans and strategic outlays borne through insight and concept-laden processes. Koko is a leader in many facets of human development with her quest for developmental advantages for all seeing her delve into pursuits in youth and educational development causing her to spearhead change projects earning her a position as 101 young African Leaders by the Business in Africa magazine representing Nigeria at the African Business Leaders Forum in Accra, Ghana, a platform created for young people to interact and influence business and public sector leaders addressing critical issues facing the continent. She has spearheaded change projects such as the Day of Impact events that aid students gain an edge in creative and critical thinking skills, a must-have aptitude for the 21st century aspiring career and business leader, launching her best-selling book titled ‘You Can Do It’ in the wake of fostering this elementary knowledge. Koko was invited annually by the presidency to launch the $USD7.5 million World Bank and Federal Government of Nigeria sponsored Youth Enterprise with Innovation in Nigeria fund (YouWiN! ), a platform where she also serves as a Business mentor to budding entrepreneurs. She has also been invited to youth economic roundtables by the Minister of Youth Development, to chart strategic pathways for enterprise development among millennials. She serves as an enterprise mentor on the Venture Capital for Africa platform and I.N.V.E.N.T (Inspiring Nigeria’s Vanguards of Exceptionally Noble Talents) and the Venture Capital for Africa platform. She is also a serial entrepreneur with interests in technology, entertainment and food processing and hosts articles on tech ideas, business ideas and online ideas on her blog, www.babeonideas.com with the aim to empower people with ideas to make money. She releases her daily paper on innovation, Billionaire U! through aggregation platform paperli. Koko possesses a bachelor in technology degree in Civil Engineering from the Rivers State University of Science and Technology and is also a certified professional counsellor from the Canadian Institute of Christian Counsellors. She worked with defunct UK based technology start-up, www.CommunityLawyers.net, a global platform for legal practitioners as Country Lead and has gone ahead to co-found and support the creation of multiple tech start-ups. She is a lifetime student of Massachusetts Institute of Technology/Sloan School of Management Opencourseware program for continuous learning engagement in technology strategy, entrepreneurship, management, IT and marketing. She also bags a professional online certification in internet marketing with focus in affiliate marketing, search engine optimisation, web development, blogging and online content development from Wealthy Affiliate University, Canada, boosting her already formidable skills in technology startup strategy and management. As an investment enthusiast, Koko began her forage in the Nigerian Stock Exchange at 20, acquiring stocks in financial services and fast moving consumer goods sector. She is a writer who loves to read and maintains a high level interest in multifarious fields, abilities she believes critical to her forage into business and strategy development.